The Victorian Government has launched a billion-dollar renewable energy package for solar panels, hot-water systems and batteries, which aims to see new solar panels on 650,000 homes within a decade. If successful, the amount of photo-voltaic (PV) solar power in Victoria would be tripled. Tony Wood, director of energy policy at the Grattan Institute think-tank, says that could come with some risks. “The challenge of managing that much PV, particularly where it will be concentrated in some suburbs where there's a lot more flat roofs, for example, is a big deal,” he said. The authorities say Victoria's energy grid was not designed to cope with each house being able to feed its own electricity back into the network. “It actually does hurt the stability of the grid,” says Audrey Ziebelman from the Australian Energy Market Operator (AEMO). “We've identified already areas that we're worried about … particularly in the mid-afternoon where there's very low demand,” she said. Victoria has also backed six new wind and solar farms to start generating power by 2020, but the farms are located in regional areas where transmission lines are thin and are limited in the amount of power they can handle. “There is currently insufficient capacity within existing transmission infrastructure in western Victoria to enable the amount of proposed generation,” AEMO said in a statement. However, there are some solutions on the way. On the household level, smart batteries will solve some issues by smoothing out supplies. 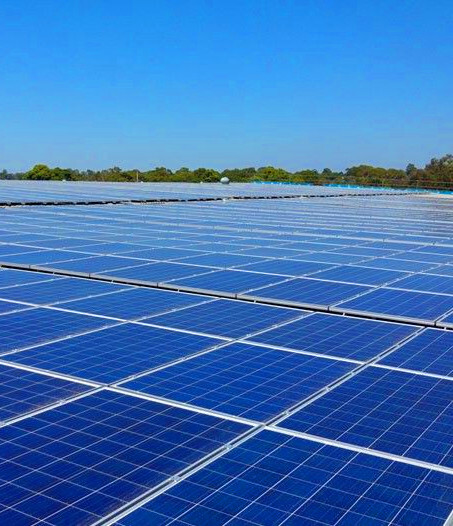 At the big end of the scale - the state's largest solar farm near Mildura – is getting over the capacity issue by adding a massive machine known as a synchronous condenser to the project. The giant device can balance the energy output and protect the grid, but it is so expensive that its manufacturer offered to absorb some of the cost in order to help the Kiamal project go ahead. Mark Wakeham from Environment Victoria says it is important not to overstate the issues, given how important the transition to renewable energy is. “I think people will start changing the way they use energy and there'll be a lot more use of energy when the sun is shining and the solar resource is really strong,” he said.